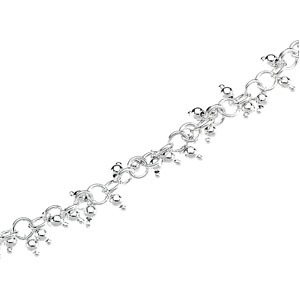 Sterling silver round link bracelet features hanging beads. This item is polished. Length: 7 1/2in. Weight: 13.6 grams. Available while supplies last.